I'll choose to wear dress anytime. Or whenever I have no mood to play dress up and layering my outfits. What can I say? Wearing dresses is a simple way to look effortlessly chic. It's as easy as having a toast with strawberry jam for breakfast. A beautiful dress and a pair of kitten heels and I'm ready to go. Well, of course not before I get a cup of coffee first. Apparently, I stumbled upon Stylewe.com and this webstore suddenly became one of my favorite place to shop. Stylewe is an online fashion shopping platform which features independent fashion designers from around the world. 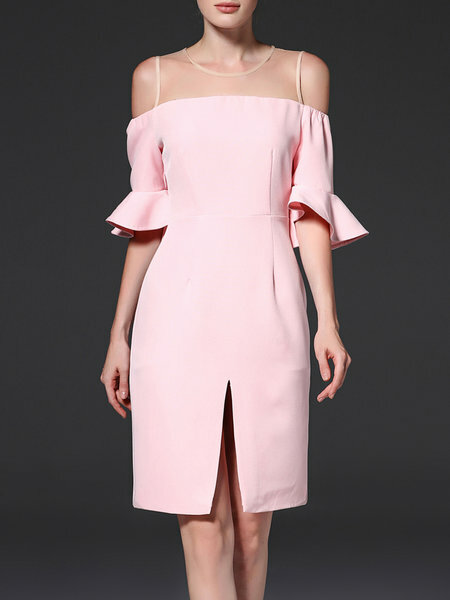 With so many different styles from many independent fashion designers, you might find a lot of unique and exclusive styles. My favorite kind of dress would be chiffon midi dress. It might be because of how light the material is. The wind can blow it easily and it would make a great effect for pictures, seriously! Don't you love how your dress look when you twirl for the photo? Ooohh such beautiful pieces, it's hard to pick a favorite!